While sharks aren’t the biggest fish in the ocean, they certainly have a reputation as the scariest. But, do you know what they’re hiding behind all those razor-sharp teeth? 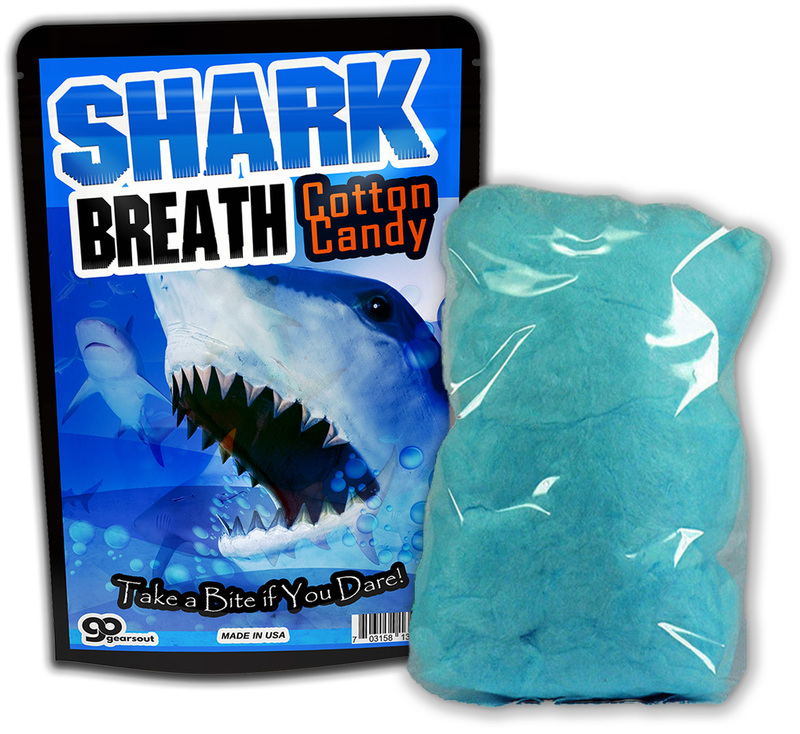 Dangerously delicious, fluffy, blue Shark Breath Cotton Candy! Take a bite if you dare! 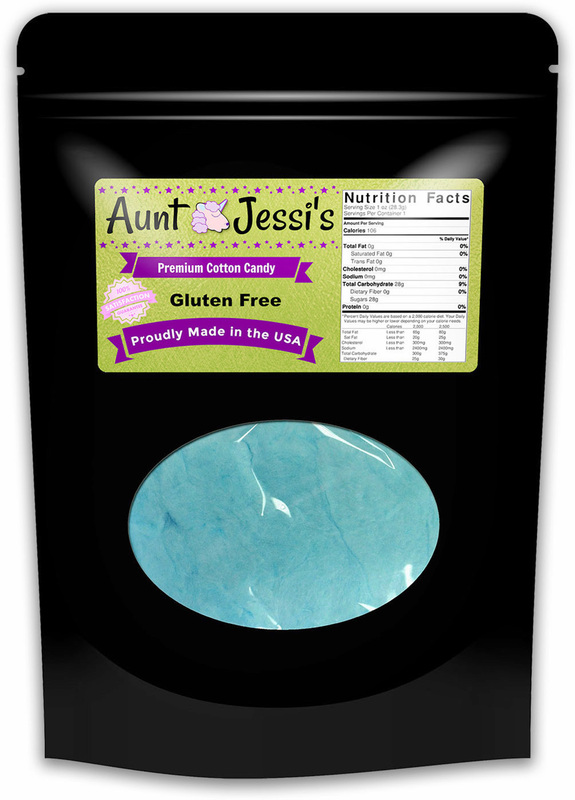 Our sugary, gluten-free, shark cotton candy formula delivers ferocious flavor and boatloads of laughter – all in one fierce package! 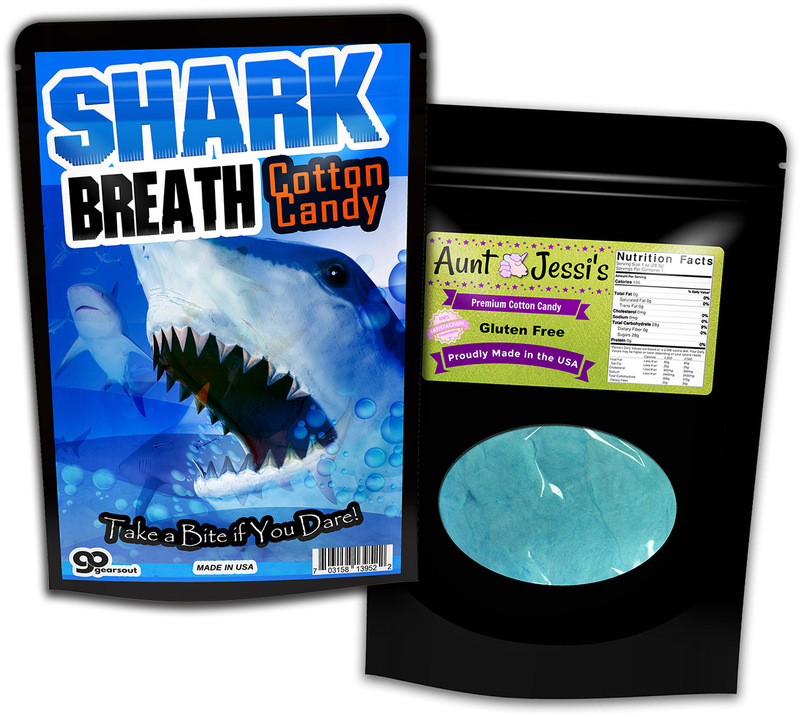 Shark Breath Cotton Candy is a puffy, blue confection that breathes wild fun into gift-giving. 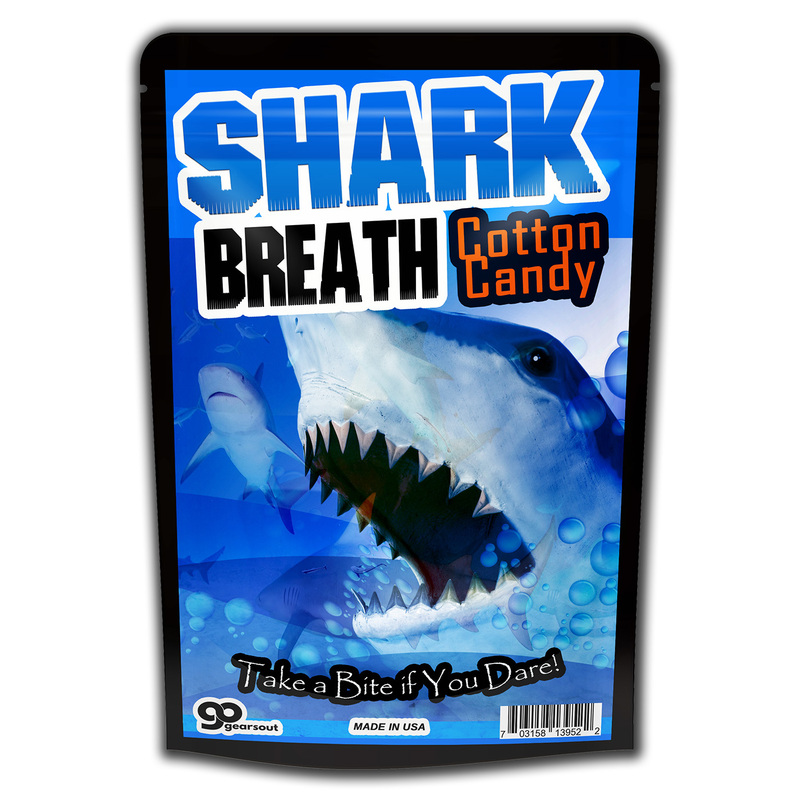 Shark Breath Cotton Candy is a unique gift for family and friends of all ages. This wild gag gift is perfect for any candy lover on your gift list, no matter what you’re celebrating. Add a bag to care packages, birthday bags, and gift baskets. At Christmas time, slip some in as a funny stocking stuffer or wrap it up for a memorable white elephant or Secret Santa gift.